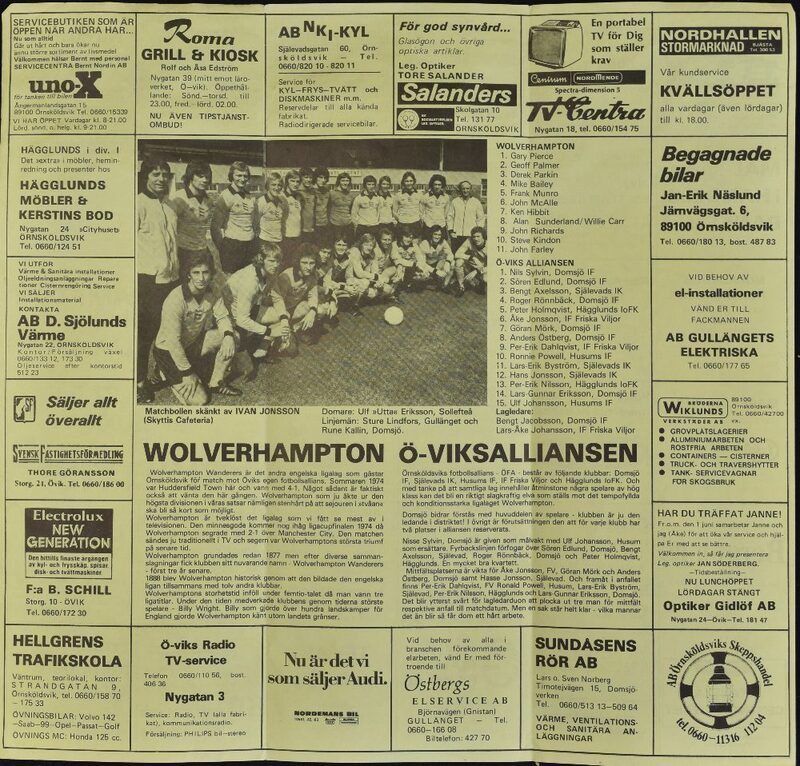 Scarce friendly Football Programme 1974/75 O-Viksalliansen v Wolverhampton Wanderers 27 July, fold out type issue. 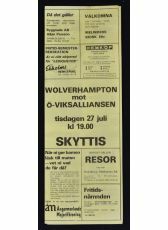 Fair-Good. 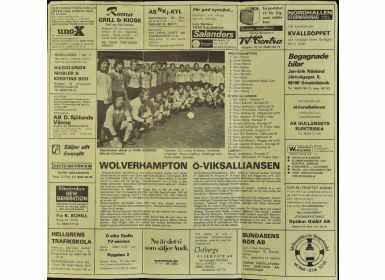 NB: this match does not appear in the Wolves records.